This video is just adorable. 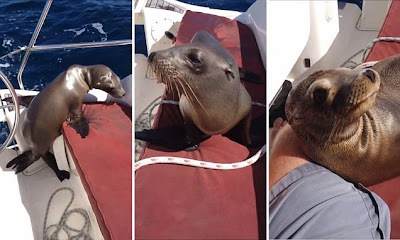 This lonely little seal jumps aboard this boat and snuggles up with the humans aboard. Aww factor is over the moon.